Sãlongo is the brain-child of trumpeter, composer, arranger & leader, Eddie Allen. This 7-piece Afro-Cuban/Brasilian group combines the driving rhythmic concepts f congero legend Mongo Santamaria, the rhythms of Brasil, the harmonic concepts in jazz and the commercial appeal of Santana. 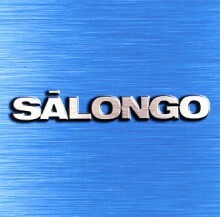 Sãlongo is a 3-piece horn section of seasoned jazz talents combined with a rhythmically diverse rhythm section of Central and South American talent. The entire ensemble is well versed in improvisation and open to playing other world rhythms… and you can be sure that they will. … they draw from both the mainstream and latino jazz tradition with inspiration, a personal style, & certainly deliver the music with an indomitable spirit. Two goals, among others, of the band are to honor the rhythms of Mongo Santamaria and to imbue its music with a commercial appeal. On this front they have succeeded. …, this is a bouncy, party record with a lot of drive that is sure to accent any urban or urban flavored gathering. With some solid jazz chops at the core, this is a fine find for contemporary jazzbos on the hunt for something new. Containing sizzling new charts and a fiery performance from the band, this self-titled CD just might be the best Latin jazz album of the year. The eight Allen originals and one Charlie Parker standard are all done with a high degree of taste rarely exhibited in today’s jazz. This Latin disc is well worth picking up. Their invigorating jazz will cause involuntary spasms of the feet, neck, and hands. The music will make you want to move. This zesty disc mixes small-combo jazz with occasional nods of fusion and world-beat. Trumpeter, composer and bandleader Eddie Allen describes it as an Afro-Cuban/Brazilian group, but, in truth, it’s that and more. An engaging, fresh project that’s not overly long or overly dramatic.